Iran and Hizbullah are trying to exploit the control of parts of the Golan and to improve the military capabilities of Hizbullah which is seen as the military arm of Iran. Iran seeks to bring Hizbullah's threat to Israel to a new level. Hizbullah is reportedly trying to acquire more precise missiles, with longer ranges and heavier warheads, along with anti-ship and anti-aircraft systems. 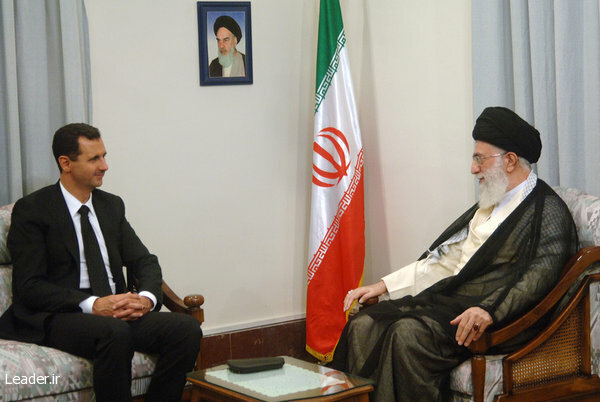 Iran and Hizbullah are seeking to establish an anti-Israel terror infrastructure in the northern Golan. Israel does not support either of the two main sides in the Syrian civil war  neither the Iranian-led radical axis, nor the radical Sunni axis led separately by Islamic State and Jabhat al-Nusra. The attacks and reported air strikes indicate an ongoing battle between Israel and the Iranian-led radical axis to set the rules of the game in Syrian territory. Such rules concern the impact of Syria's civil war on the severity of the threat that the radical axis can pose to Israel from the north, including Syria and Lebanon. Hizbullah's involvement in the Syrian civil war was, to a large extent, imposed upon it against its will. This involvement is exacting a heavy price on the organization in the form of numerous casualties and the need to spread its limited resources over many fronts and missions, along with a considerable political price. Among both Hizbullah's supporters in Lebanon and, particularly, its antagonists there, the involvement in Syria is making Hizbullah more vulnerable because it creates legitimacy for anti-Lebanese activity by the Sunni radicals, while exacerbating the tension between Hizbullah's identity, on the one hand, as a Lebanese Shiite organization and, on the other, an organization that is part of the Iranian radical axis and part of the Iranian security apparatus that must act according to the interests and dictates of Iran and Bashar Assad. Moreover, the major offensives the axis declared in the Golan Heights and in Aleppo were nipped in the bud; nor has progress been achieved in the political sphere despite Moscow's willingness to help the Assad regime. Because Assad and Iran view Hizbullah as the most significant of the forces fighting for the regime's continued existence, and because all of the members of the radical axis, including Hizbullah, regard the Assad regime's continued viability as a supreme objective, the organization realizes that its deep involvement in the Syrian civil war is nowhere near its conclusion and will continue to exact a heavy price. First of all, they are trying to exploit the control of territory and the involvement in the fighting to improve the military capabilities of Hizbullah, which is seen as the military arm of Iran, its main purpose being to fight Israel and Iran's other adversaries in the region. Beyond Hizbullah fighters gaining combat and operational experience, the control of Syrian territory enables Iran and Hizbullah to speed up the flow of advanced weaponry that can bring Hizbullah's threat to Israel to a new level. According to various reports, Hizbullah is trying to acquire more precise missiles, with longer ranges and heavier warheads, along with anti-ship and anti-aircraft systems, and more. Some of these weapons make their way to Hizbullah from Iran via Syria, and some from Russia via Syria for transfer to Hizbullah by the Syrians. Second, with Hizbullah avoiding attacks on Israel from Lebanon since the Second Lebanon War owing to its fear of both Israeli and domestic Lebanese responses, Iran and Hizbullah have sought to exploit their status in Syria to impose on Assad a new reality in the Golan Heights, one that enables them to build an anti-Israel terror infrastructure in the northern Golan and to use it according to their considerations exclusively. This contrasts markedly with the situation prevailing in the area since 1975, in which the Syrian regime forbade hostilities from its territory and instead supported attacks from Lebanon. The part of the northern Golan that is under the axis' control has already been used to stage a number of terror operations. And finally, Iran and Hizbullah have sought to exploit their involvement in the fighting against Assad's radical Sunni adversaries in Syria, with an emphasis on Hizbullah's role in the struggle against those elements along Lebanon's border with Syria, in an effort to boost the organization's status as defender of Lebanon. Indeed, its status as Lebanon's defender against Israel is mired in controversy and has suffered much damage since the Second Lebanon War. Now, though, an opportunity has arisen to portray Hizbullah as defending the country, with all of its population segments, against a new threat that is also perceived as more authentic. Israel, of course, views with great concern the first two directions of Iranian and Hizbullah activity  new armaments and establishing a terror center on the Golan — and Israel's policy toward its northern front aims at stymieing these undertakings. An analysis of the steps taken by Israel so far indicates resolve and persistence while, at the same time, seeking to avoid a wide-scale escalation. Israel is, in fact, attempting to establish rules of the game where it is permitted to act against those two aims of its adversaries, especially so long as it restricts its operations to Syrian territory. It is in this context that one must understand the recurrent reports about attacks against weapons stockpiles in Syria before they are shipped to Lebanon, along with the claim that it was Israel that, in January this year, attacked a convoy of senior Iranian Revolutionary Guard Corps and Hizbullah officials on the Golan who were seeking to activate an anti-Israel terror network there. At this point, such actions delay the building of the terror infrastructure on the Golan and reduce the ability of the radical axis to exploit the situation to bolster Hizbullah combat abilities. These actions also indicate the degree to which the axis' anti-Israel activities have been exposed and thus enhance Israel's deterrence. At the same time, it appears that such operations have not sufficed to put a stop to Iranian and Hizbullah's efforts, which continue constantly. Although the actions attributed to Israel are indeed carried out in Syrian territory, they do not constitute any change in Israel's policy of avoiding open intervention or taking sides in the bloody Syrian conflict. Clearly, Israel does not support either of the two main sides in the civil war  the Iranian-led radical axis and the radical Sunni axis led separately by Islamic State and Jabhat al-Nusra. At the same time, Israel is not indifferent to what happens on the other side of the border. It supports the suffering Syrian people with humanitarian aid, with an emphasis on medical assistance to the many injured people in the border region, and hopes for the strengthening of the moderate elements among the regime's opponents, who represent a very large part of the Syrian population but suffer from military and organizational weakness in comparison to their adversaries.